*Editor’s note: Since the original publication of this article, the Algerian president Bouteflika has officially resigned from his post. 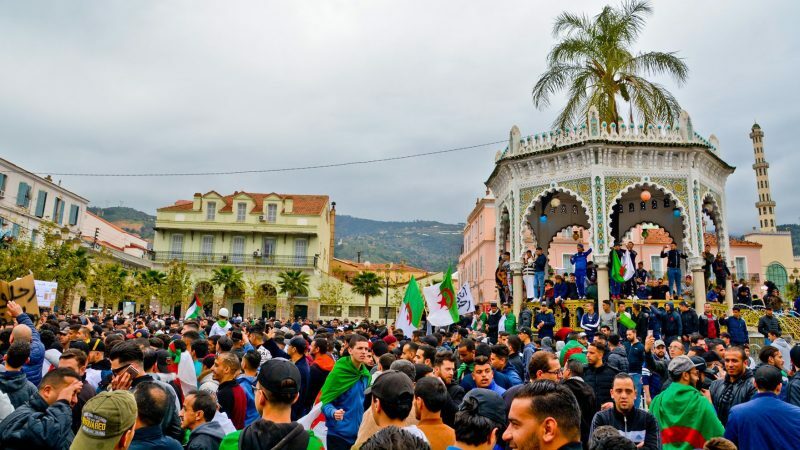 Since February 16, 2019, protests have rocked Algeria as citizens fight against President Abdelaziz Bouteflika’s candidacy for a fifth presidential term. By March 11, Bouteflika announced that he would not run for office again. Since then, large-scale protests have continued. In the meantime, the government has announced that a national conference will be held to define a new constitution that would, by the end of 2019, allow Bouteflika to extend his fourth term, set to end on April 27, 2019. This amendment is drawing objections from the country’s population in an increasingly tense face-off with uncertain outcomes. Yet, English- and French-language media use fundamentally different approaches, seen notably through the use of particular keywords observable on Media Cloud, an open-source platform for analyzing media ecosystems. Media Cloud makes it possible to quantify, evaluate, and refine journalistic coverage of the protests based on geographical location or linguistic distribution worldwide. Media Cloud confirms the disparity in media coverage in Algeria. French-language news sources emphasize the issue of the president’s terms and highlight the parallel with the movements in France and law enforcement. The English-language sites, on the other hand, link the events to the upcoming elections, mentioning Trump, Venezuela, and Sudan. The demonstrations are being organised on social media — and while the trigger has been Mr. Bouteflika’s re-election bid, anger is also being expressed about perceived deep-rooted corruption among the ruling elite.